Count yourself one in a million if you have a tenant who leaves your property in better condition than when he first moved in with his family. My daughter had one such heaven-sent tenant a few years ago. The rest were from hell or some place close to it. The latter can literally drive you up the wall - whatever is left of it. When it comes to finding good tenants, it boils down to how desperate the owner is to rent out his property. I once had a peek through the open front door of my neighbour's apartment as I passed by. It looked as if it had been bombed or hit by a wrecking ball. The plaster on the walls was peeling, the doors of the kitchen cabinets looked about to fall off their hinges, and the living room sofa should have been thrown out in the garbage dump long ago. And the floor? It was covered with layers of grime and rubbish. Spotting me at the door, my neighbour invited me in to survey the horror. I guess she wanted to share her shock with someone else, who could also bear witness to the total destruction done. The toilets were filthy and unusable. The mattresses in the bedrooms were grossly stained and the curtains were actually pieces of sarong strung up together. 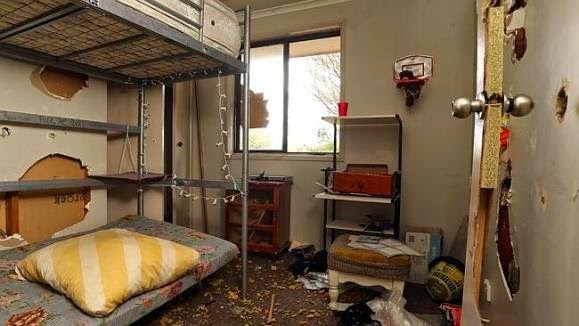 The whole apartment was left in a state resembling this one in the video below. What kind of tenants would leave their rented premises in such a deplorable condition? For my neighbour, the answer is one word - students. Foreign students. Foreign male students. All 12 of them splitting the rent for a 3-room apartment meant for a small family of five or six. Such massive damage cannot be attributed solely to a lack of responsibilty. Often when tenants leave on a sour note after receiving an eviction notice, they feel they have a right to settle a score. What better way to express this than to leave behind broken furniture and missing fixtures? Also months of unpaid rent and utility bills amounting to thousands of dollars. And don't forget the cost of repairing the damage which could easily run into tens of thousands of dollars. All very painful for the owner indeed. But I also wonder why my neighbour rented out her apartment to these students in the first place. She was not in dire financial straits. As owners, the onus is on us to choose our tenants carefully, and have them sign a tenancy agreement to safeguard our property. Without such a document, owners are at the mercy of these tenants from hell. Even with the document, there is no guarantee the tenant will honour the terms. 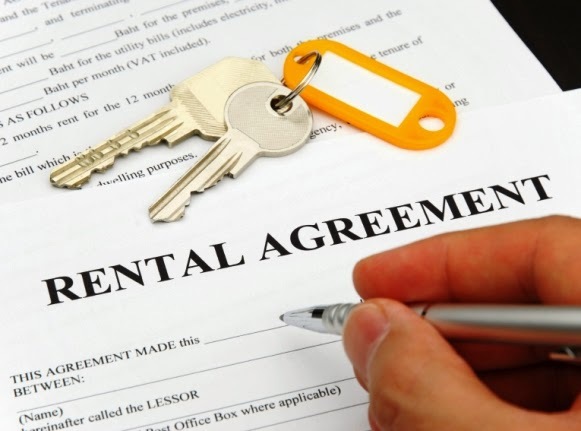 Any legal action taken against the tenant can take ages and incur more expenses for the owner. In the end, the tenant gets away scot-free, taking along with him pilfered items from the apartment. Discarded cupboard left in the common stairway. Unsightly. Flat tyres No road tax. No registration plate. Definitely an abandoned car. Just one of a few occupying space in the parking lot. Fencing being put to 'good' use. Why waste money on a clothes dryer when sunshine is free? That seems to be the rationale behind this tenant's idea of sun-drying his laundry. A typical example of laziness. Much more convenient to just leave the garbage bags under the bushes than walk all the way to the nearest garbage dump. Maybe a kind resident will take care of it? When it comes to poor maintenance of common areas, both owner-residents and tenants share equal blame. One of the biggest challenges of property management companies is the collection of maintenance fees and sinking fund. There is often not enough money collected to pay for improved security, better landscaping and more efficient garbage disposal. But there will always be some residents who refuse to pay. They complain that maintenance is not satisfacory, so why should they pay. It's the old which comes first syndrome. There is nothing much the management can do except to send reminder after reminder to errant residents to settle their outstanding payments. Don't even think about refusing them entry into the compound, or cutting off their water and electricity supply - the management has no power to do so. The only way to recover these debts is to wait till such a time as when the owner wants to sell his property. The sale cannot be finalized until all outstanding debts are paid in full. But what if the owner has no intention of ever selling his property? He can continue to live in his apartment till he kicks the bucket, without ever having to pay any maintenance fee. This is why there has been a call for a Tenancy Act to protect property owners. Don't for one moment think that only owners of low-cost and medium-cost apartments are cursed with such abominable tenants. Owners of bungalows and up-market condominium apartments face a different set of problems. Their tenants think that paying thousands of dollars in monthly rental entitles them to make unreasonable demands like asking for high-end bedroom sets, expensive furnishings and fittings, and brand new electrical appliances. You will be surprised how much damage their children and pet dogs can cause to your property. Such tenants can give you severe heartburn and ulcers, and shorten your life span. 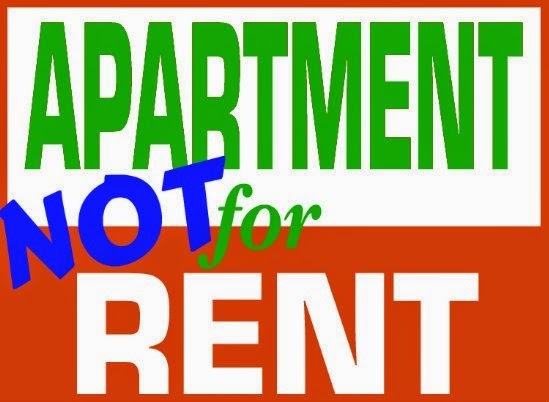 Having heard horror stories about tenants from hell, and having personally witnessed the extensive damage my neighbour's tenant left behind in her apartment, I have sworn never to rent out my apartment to anyone. I would rather keep it as a guest house for relatives and friends who are visiting and need a place to stay. 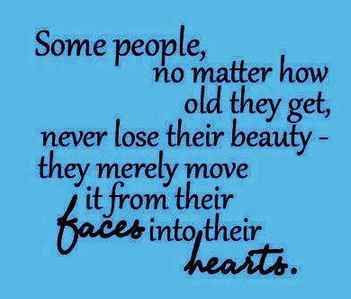 It is a challenge these days to find couples who have been HAPPILY married for at least fifty years. Note the word HAPPILY. 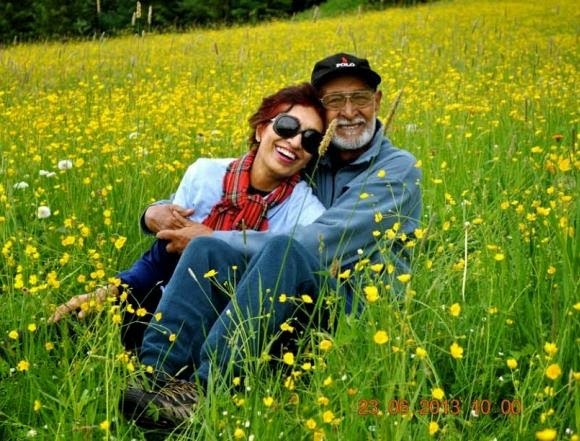 Many older couples remain together but there is no love lost between husband and wife, and it is plain for all to see. There is little or no communication, even less physical touch. It is like two strangers living under the same roof out of convenience. 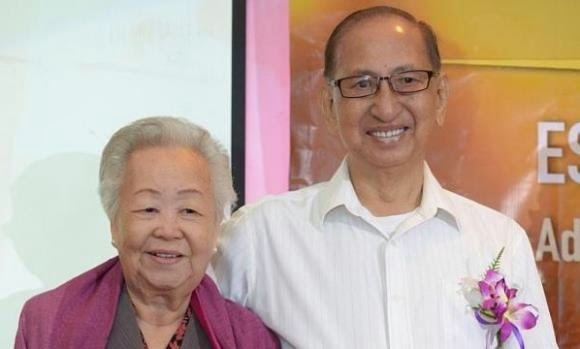 For these couples, the spark of love has long died, never to be rekindled. It takes a lot of hard work to nurture a relationship, a lot of give and take to reach that stage where one simply can't live without the other. They complete each other. Each is the other half, and they fit perfectly together. Like this elderly couple. The photo is one of my favorites - a tender moment captured in time. I happened to be behind them one fine morning. With their backpacks and walking shoes, they looked all set for a day out in the city. I couldn't help noticing how he held her hand all the way and shielded her from passing vehicles. How sweet! 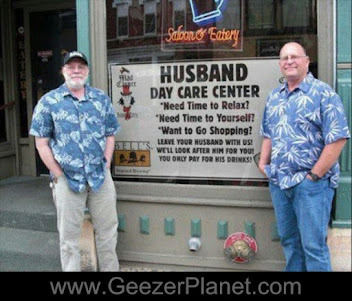 Loving, caring husbands are a dying breed. So are loving, caring wives. Perhaps it all boils down to incompatibility. They were not meant for each other in the first place. It is, therefore, such a pleasure for me to introduce two couples who are blessed to have found each other to share their life's journey with. 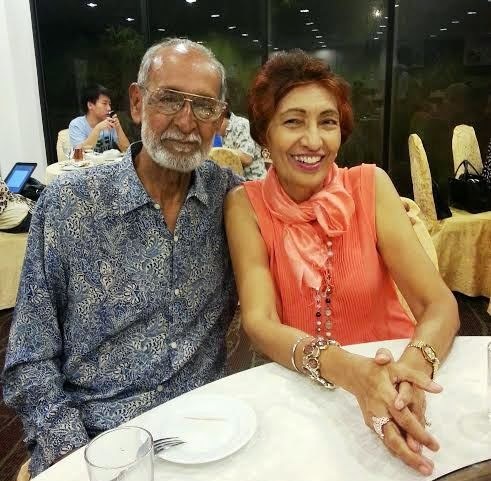 Here's what they have to say about staying happily married, in their own words, and specially for our SeniorsAloud blog readers. 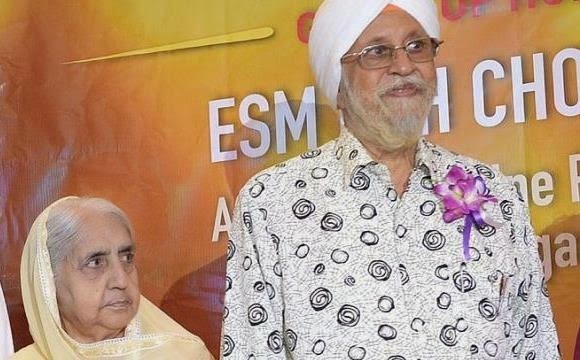 Picture perfect couple Mrs J (Mdm Surjeet Kaur), 73, and Mr Jagjeet Singh, 80. 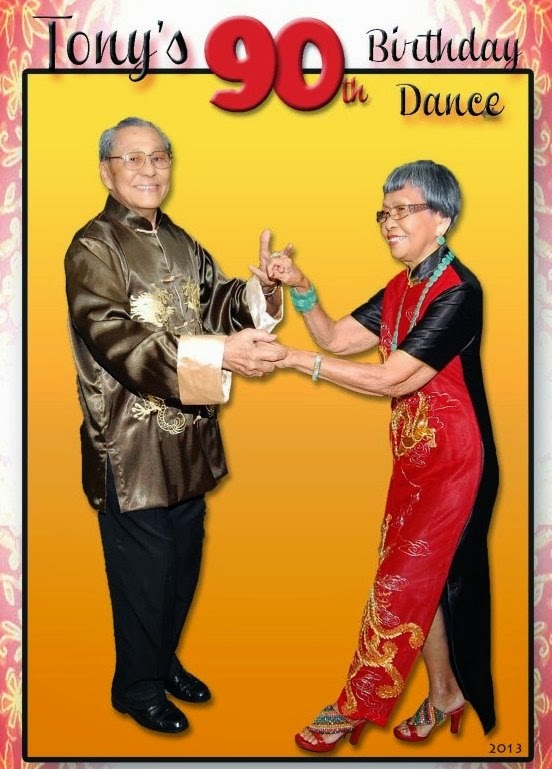 They have been married 52 years. 1. Expect to have lots of challenges as you both grow in years ... familiarity does not really help .. but don't take each other for granted especially as a woman I want to feel appreciated for manaqing the home and taking good care of the household. It's a never-ending task and responsibility but if appreciated the sky is the limit. I am thus appreciated for a LOT OF WHAT I do and it is expressed in many different loving ways. but they enjoy every minute of bonding time with their grandchildren. 2. Both must help in putting the house in order. Every woman appreciates it when the man chips in. Mine cooks excellent chicken curry ... the family calls his curry with a signature name: 'Dada's Special Chicken Curry!' 'Dada' means paternal grandpa. 3. Frequent short weekend getaways together to stay romantic and in love. 5. Keep busy. Give space to each other to breathe and do their own things, so you have no time to get on each other's nerves. The busier you are, the happier you are...No time to be picky. Footnote: Mrs J and I have been friends since the 1970s when we started our careers as teachers. She has the distinction of being the first senior I interviewed way back in May 2008 for the article 'Forever Young'. 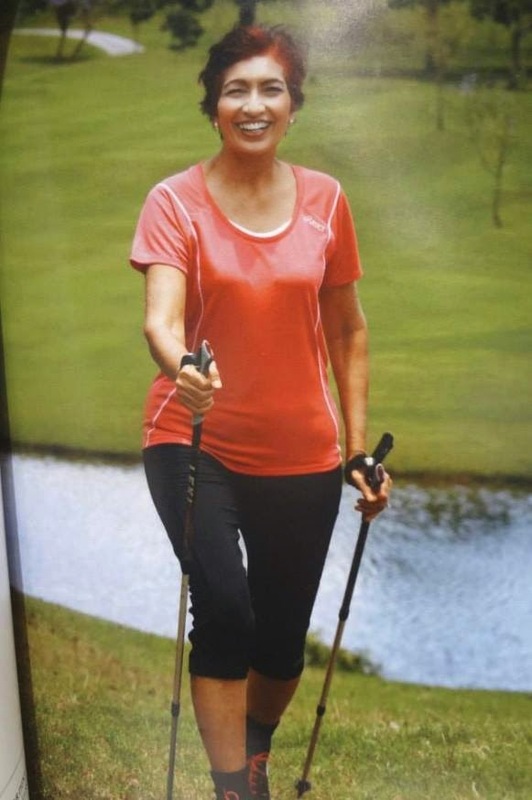 In recent years, Mrs J has developed a passion for Nordic Walking and calls it 'the best total body workout for seniors'. She is the country's first and possibly only certified Nordic Walking instructor. 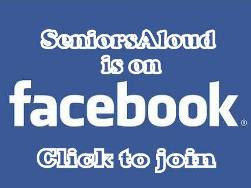 If you are interested to learn more, you can contact her at 03-7610 2714, or 012-2005 276. Still lovey dovey after all these years! Wish we had more old school gentlemen like Tony and fiesty grandmas like Suzanne. a) The secret to a happy life is giving God the first part of the day, the first priority to every decision and the first place in your heart. Tony is now 92, and Suzanne is 90. 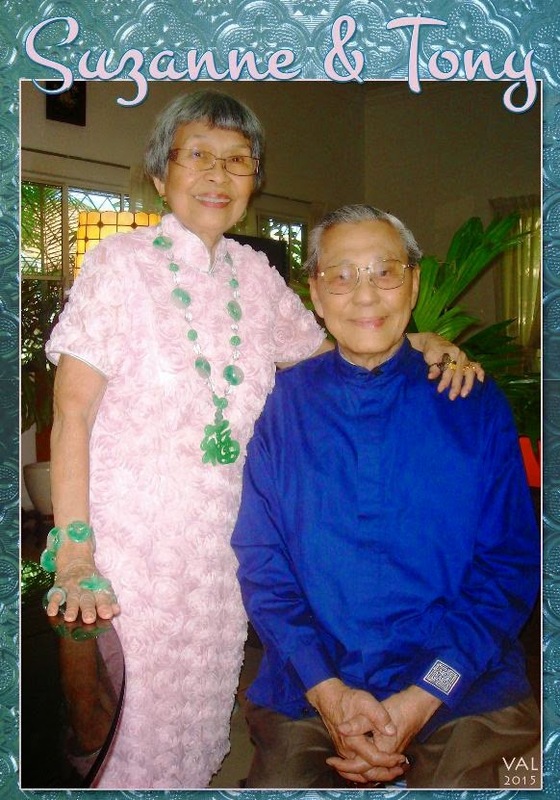 They have been happily married for 67 wonderful years. b) Of course every life should have some mystery in it and I am thrilled that mine takes the form of Suzanne. She has been all that I want as a partner on life's journey. c) We don't pray to God so that He will change His mind. We pray to God so that we will change - and if we change, our situation can change. d) Love is a decision! You will find that there is no half-measure when it comes to loving someone. You either don't or you do with every cell in your body, completely and utterly, without reservation or apology. e) You do not marry someone you can live with; you marry the person whom you cannot live without. 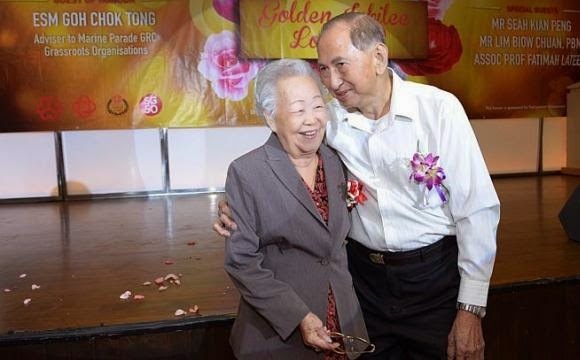 Over in Singapore, to commemorate the golden jubilee of the republic, and to celebrate Valentine's Day, 50 pioneer generation couples shared their love stories in book. Four couples were interviewed by The Straits Times about what it takes for a marriage to last a lifetime. 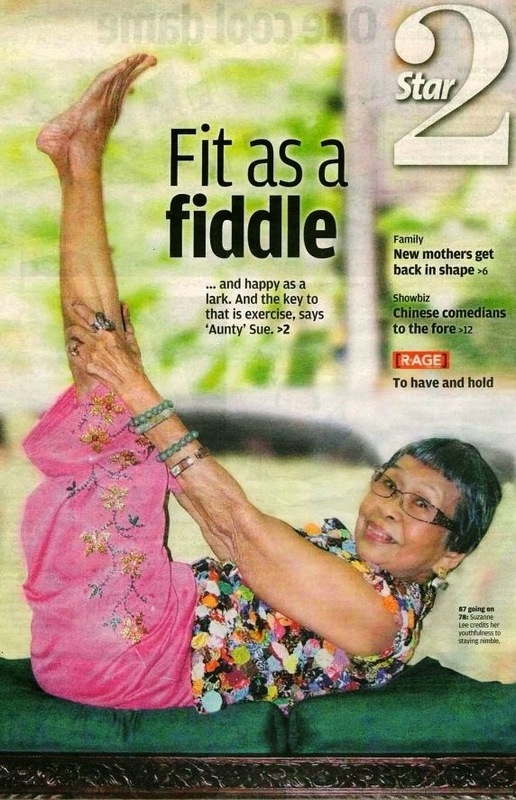 All images below are from The Straits Times. ..... Dale and Alice Rockey. Both are 99 this year, They first met when they were teenagers and married just after six months later on December 29, 1933 during the great depression. Is it possible to have a decent lunch in Kuala Lumpur City Centre area for RM5, inclusive of a soup and a drink? The answer is YES. That is, if you don't mind eating vegetarian and you are not particular about the location. I first wrote about this makan place in Jalan Ampang in my blog article "VALUE FOR MONEY - VEGETARIAN MEALS AT THE TEMPLE". That was in November 2011. With food prices escalating, it is time to promote this temple canteen again. It has become my favorite place to eat whenever I am in the vicinity, and that is often! It is hard to beat this canteen for price, taste and variety. If you are among the early birds, you get free soup or dessert. The place gets filled up very fast after 12 noon, and the queues at the cashiers can be long. It is self-service all the way, including clearing your own plates, bowls and glasses, and making sure there are no bits of food left on your table. Everyone cooperates in observing the temple rules of cleanliness. So the tables and floor are always clean. My lunch of brown rice, taufoo, greens and vegetable curry, plus soup and a glass of lime juice all for RM5. You can have bigger portions for the same price. The place welcomes all. Although the majority of the people who eat there are Chinese office workers, there are many Indians, Sikhs and also Malays. The word has probably got around as I see more foreigners and backpackers patronizing the canteen too. Very orderly and effcient system in place to keep the canteen clean at all times. The canteen opens only for lunch on weekdays. You enter via the main entrance. The corridor on your left takes you to the back of the temple where the canteen is located. The temple is about midway between KLCC and Ampang Park, and opposite Corus Hotel. Shouldn't be difficult to find the place. The next time you find yourself in Jalan Ampang near KLCC, and looking for a place to have lunch, head over to this temple canteen. You will be glad you did. Happy makan! As world population ages, funeral services have risen in demand. 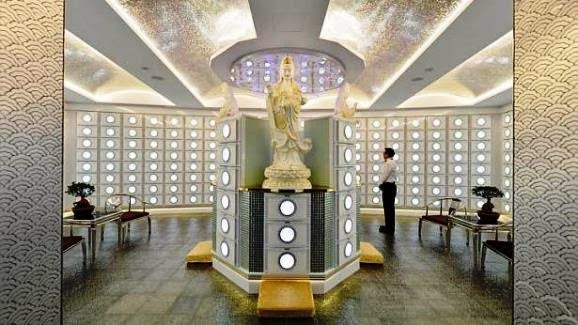 Death is a thriving business, and after-death service providers like Nirvana and Xiao En are expanding to cope with the rise in demand for niches in columbariums. In land-scarce Singapore, we can forget about purchasing a burial plot. Cremation is the way to go. 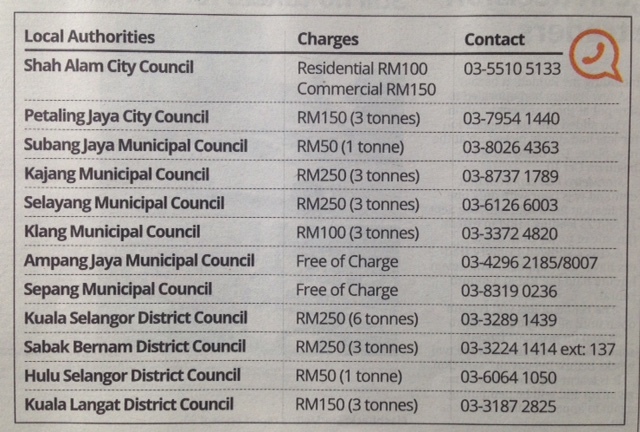 Charges for niches in columbarium can be as high as SGD20,000 and more. If money is not a problem, Nirvana Memorial Garden in Singapore offers an opulent eternal resting place for the dearly departed. 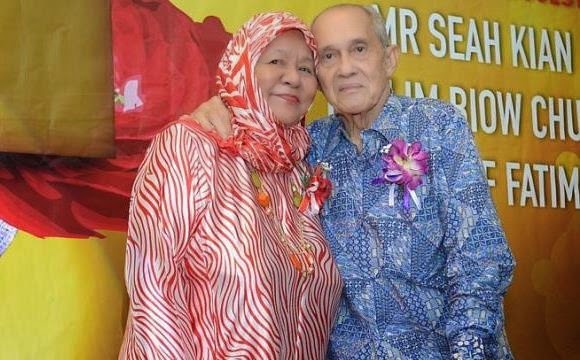 In Malaysia, the next-of-kin of an EPF (Employees Provident Fund) contributor is entitled to receive a sum of RM2500 to help defray funeral expenses. Click here for more details about EPF's Death Withdrawal Benefits. This is the reality for many families whether in the UK or Singapore. One reason why columbariums are gaining popularity. Cheh! The Chinese would say. Such bad taste to talk about death, especially one's own death. But why do we encourage people to plan for their retirement, but balk at going one step further - encourage them to plan ahead for their death? 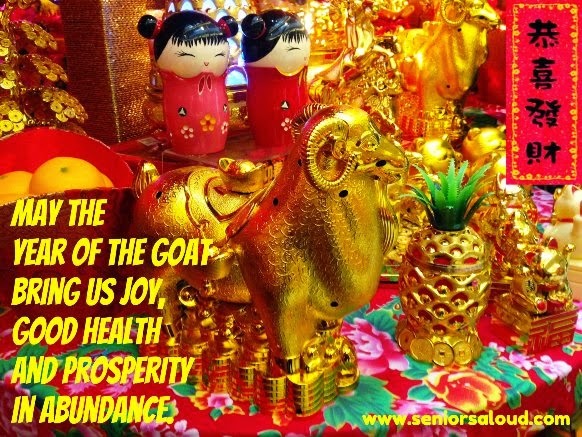 Perhaps it is to do with cultural superstitions. The mere mention of death may hasten one's demise, so the Chinese would have us believe. But if we don't do it while we are still alive and kicking, when then? I have attended wakes and funerals that made me wonder if the deceased would have preferred their final goodbye to be more of a celebration of a life well-lived than a mourning of a life cut short. Funeral costs are skyrocketing worldwide, but there is no guarantee that you get your dream funeral. 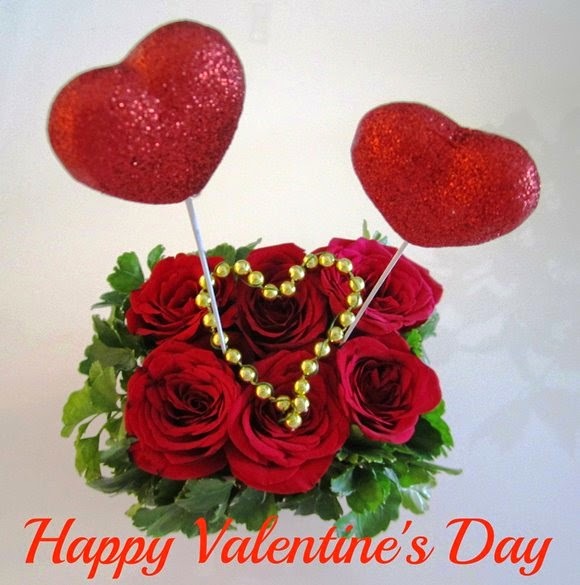 So why not plan your own, down to the smallest details like your favourite flowers and the music you want played. You can choose what outfit to be clothed in for your final rites. You decide whether you want a simple exit from this world, or an elaborate one with plenty of fanfare to herald your departure to the next world. That way you have control over the expenses. Over the years I have come across some refreshingly creative obituaries in the local papers. I wouldn't be surprised if they were the result of a visit to the Life Before Death website. lifebeforedeath.com helps you plan your funeral the way you want it. Give it a visit out of curiosity, if nothing else. Back in July 2010, I wrote about planning for death in my blog article 'Before we kick the Bucket...'. The time is right to re-introduce the Life Before Death website to more folks who may want to have a hand in deciding how they want their last farewell to be. Kudos to the Lien Foundation, Singapore, for taking the initiative to commission the Economist Intelligence Unit to collate data from 40 countries and come up with the Quality of Death index. It is a useful guide to gauge, for example, the cost and quality of palliative care in each of the 40 countries, and the level of government involvement in end-of-life care. Overall ranking in the Quality of Death Index. UK tops the list, Singapore is 18th, and Malaysia is 33rd out of 40 countries that were surveyed. Governments can learn from the UK model what they can do to improve end-of-life care. Aside from the QOD Index, the website provides a comprehensive guide to help you prepare for that very important farewell party, from choosing your happy casket to selecting your funeral playlist. It also includes suggestions for your bucket list, choosing your favorite photos and writing your own obituary. 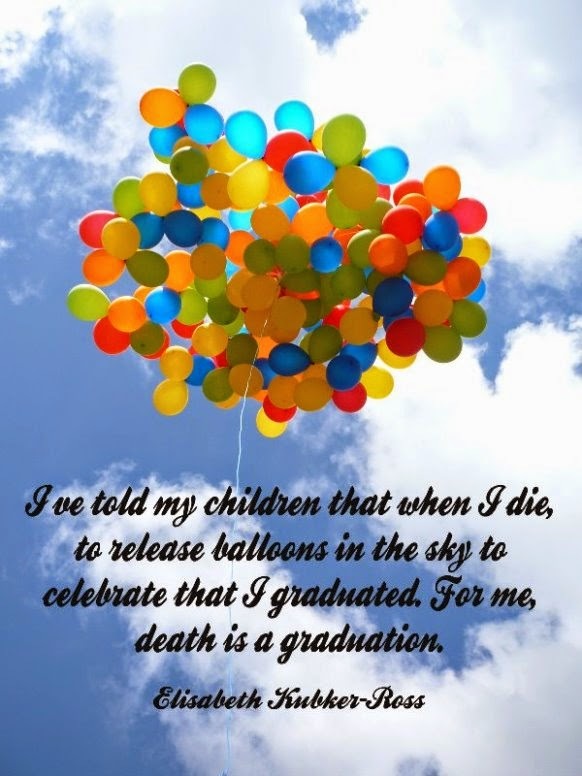 The whole idea is to dispel taboos surrounding death, give the soon-to-depart a bigger voice in planning their funeral, and make the last goodbye a more positive and dignified experience for the bereaved family and friends. There are other websites that offer pre-planning for your funeral or memorial service. A standard checklist is available at Everplans website - a very useful guide for your next-of-kin to give you the kind of memorial service you want. Another website to note is My Wonderful Life. Read what the Wall Street Journal has to say about the website in 'Planning That Final Party'. 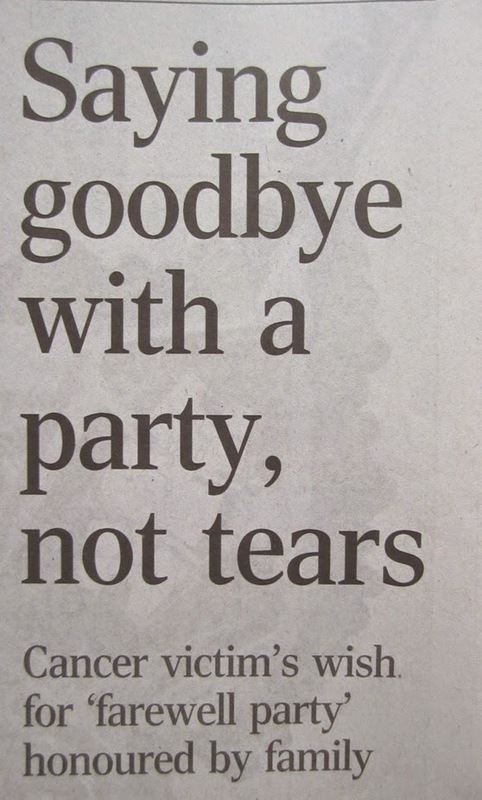 When my time comes, I want my family and friends to give me a fun-filled send-off party to remember me by. I know what flowers, food, and music I want. Definitely no black mourning clothes. Everyone must come in bright colours. Most important, no filing past my open casket for everyone to have a last look at me. It will be a closed casket. I refuse to be put on public display. I am sure my children will see that my wishes are honoured.